Scott Pruitt, the Environmental Protection Agency (EPA) administrator, tasked an aide with facilitating a “business opportunity” between his wife and restaurant chain Chick-fil-A. Pruitt spoke with Chick-fil-A representatives over the phone. Company spokeswoman Carrie Kurlander told The Washington Post that the phone call was regarding the administrator’s wife, Marlyn Pruitt, possibly opening a franchise of the fast food chain. However, Kurland said Marlyn Pruitt never completed the application. The Post also reported that Pruitt had contacted the CEO of the New York nonprofit Concordia, Matthew Swift, and asked him to help his wife find work in event planning. Swift told the Post that Concordia ended up hiring Marlyn to organize a conference, paying her $2,000 and covering her travel expenses. This Chick-fil-A inquiry could violate ethics laws prohibiting officials from using their position to solicit gifts or services from subordinates and rules against employees doing these tasks for superiors. 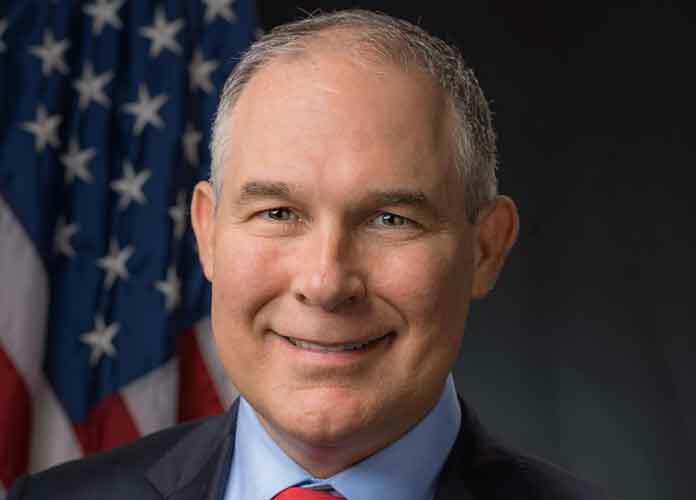 Pruitt is facing several other allegations of using subordinates to conduct personal business for him, such as assigning Millan Hupp, Sydney’s sister, to find him a used Trump International Hotel mattress and go apartment hunting, which is a violation of federal rules, and has come under fire for constructing a $43,000 soundproof booth in his office among other things.